The pic above isn’t a still from a futuristic flick or a flight of CGI fancy from the SyFy channel. This is Nigel Ackland, a real-life man of flesh and blood… and carbon fiber and aluminum. When Ackland lost the lower part of his arm in a smelting accident six years ago, the idea of his using two hands again was like a fantasy. Sure, prosthetics have made amazing advances over the years, but there are certain activities that still elude these artificial limbs. 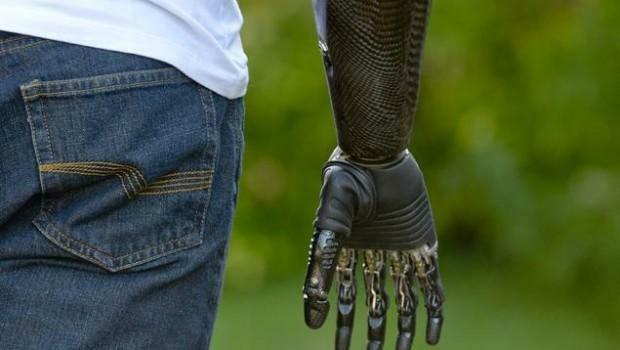 But this new “Terminator” arm, as he puts it, is a highly sensitive version that features a range of 14 individual grips. 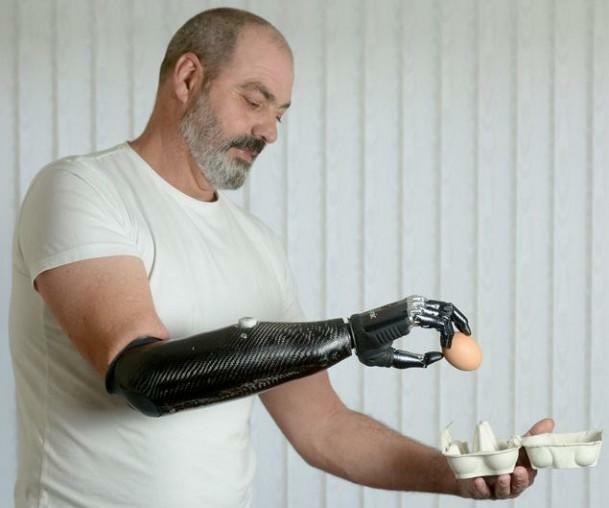 Thanks to RSLSteepe and its bebionic3 myoelectric hand, Ackland can now tie his shoes, crack eggs, and even use a keyboard and mouse. 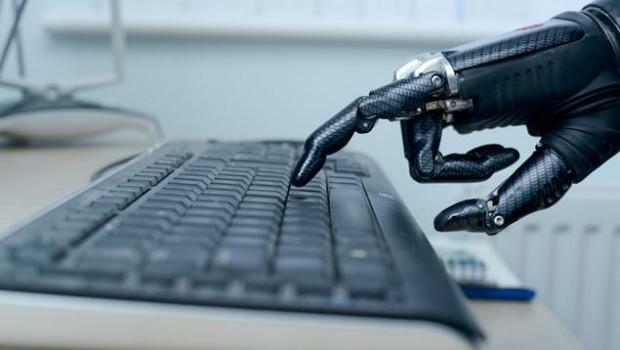 It’s all controlled by the user’s upper arm, where muscle flexes can trigger the limb. Although the prosthetic comes with a skin-like flesh-colored covering, Ackland admits that he rocks the unfettered Cyborg style on occasion. And he digs the fact that onlookers often ask him about his hi-tech arm. Too bad the appreciation might be short-lived — he’s only testing it for now, along with six others in the U.K. After four months, they have to give it back. That’s not surprising, considering it costs as much as $40,000 per patient. As with all technology, the cost could decrease over time, though. With the bebionic3 due for release soon, we’ve got our fingers-crossed that the adoption rate will be healthy and that Moore’s law kicks in for this category too. Correction: The subject’s name is Nigel Ackland, not Auckland as previously written.